Capoeira Malês | Capoeira School – Capoeira school holding classes in Toronto and the larger GTA. 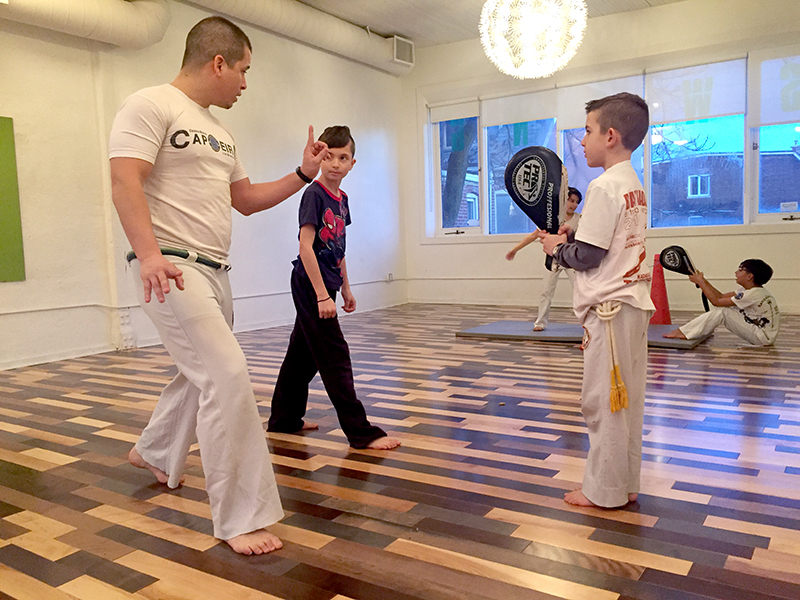 We focus on capoeira movements that enable kids to develop their strength, flexibility and motor coordination through play-based exercises in a safe and fun environment. Mestre Lua has been a practitioner of capoeira for over 30 years and brings with him a well of knowledge and dedication to this art form. His teaching style can best be described as one of patience and creativity as he inspires his students to push themselves in order to reach their highest potential! The instructors are attentive, great at explaining and breaking down the movements, patient, and they have a great attitude. The energy is just wonderful. Very warm and welcoming. I very highly recommend Capoeira Malês! Mestre Lua and his instructors are very patient and extremely skilled. There’s much dedication to students on an individual level at this school, and the teachings improve not just your physical fitness, but mental wellness and music skills too. I never thought of myself as an athlete because I wasn’t good at sports and I didn’t really like going to the gym. Now I can’t imagine living without Capoeira and its high level of activity, engagement, movement and expression. Receive the latest updates on upcoming beginner sessions, special offers, events and news.